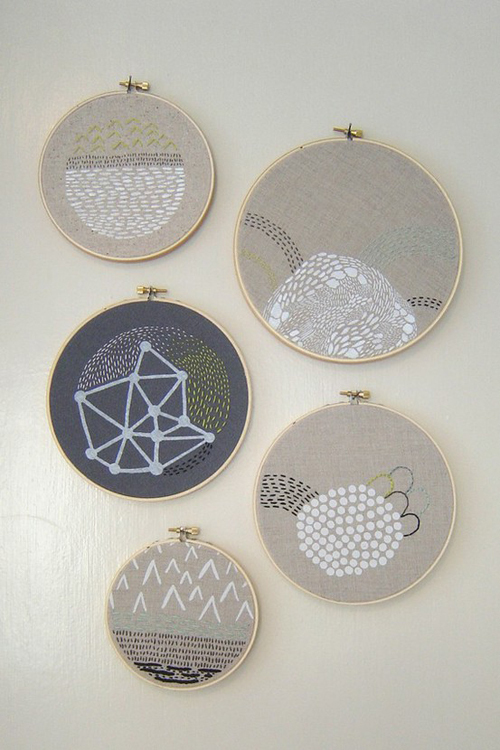 Today I’m loving … these Abstract Landscape Embroidery Artworks from Etsy seller Erin Dollar. This embroidery is hand stitched onto a piece of fabric that has been silkscreened with a detailed white abstract foreground. The embroidery pattern mirrors the white screenprinted shape in an organic way, and was embroidered freehand. absolutely beautiful!! I love them! The embriodery artworks are very pretty. Each piece is different which makes it just that little more special.